We've got a Christmas Winter Warmer available for you all. At Vevolution Festival 2017 we hosted the UK's first exclusively plant-based pitching event. Vevolution Festival 2017 Highlights & What's Next? Today we're incredibly excited to announce that Dominick Thompson and Torre Washington have joined the Vevolution Festival 2017 line-up. In this blog we answer some questions that have been put to us in online forums. After an incredible response to our Pitch + Plant event at Vevolution the 6 finalists who will pitch at Vevolution Festival 2017 have been selected. It's World Vegan Day 2017 and a time for the vegan movement around the world to celebrate achievements and look to the future. Below our Founders Damien and Judy share their views on some on the moments that defined veganism in 2017. 2017 has seen chain restaurants get involved in the plant-based revolution in a big way. Recently the likes of The Diner, Wagamama and Carluccio's have started promoting veganism heavily. 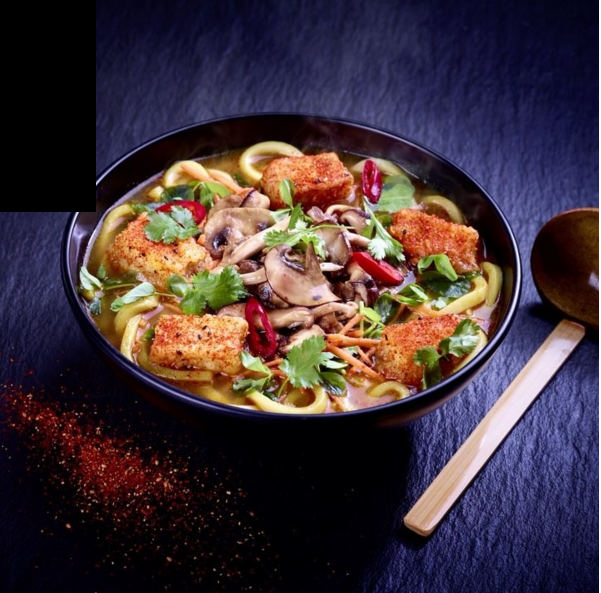 Joining over 21 high-street chains in offering vegan options. This said there is still room for improvements. Most chain restaurants require people wanting vegan options to request a special menu treating veganism like it is some kind of allergy. At Vevolution we believe it won't be long before plant-based options are front and centre of most restaurants main menu. Our friends at Bright Zine recently wrote a great article on the high street vegan revolution which you should all check out for a more in-depth look at what is happening. 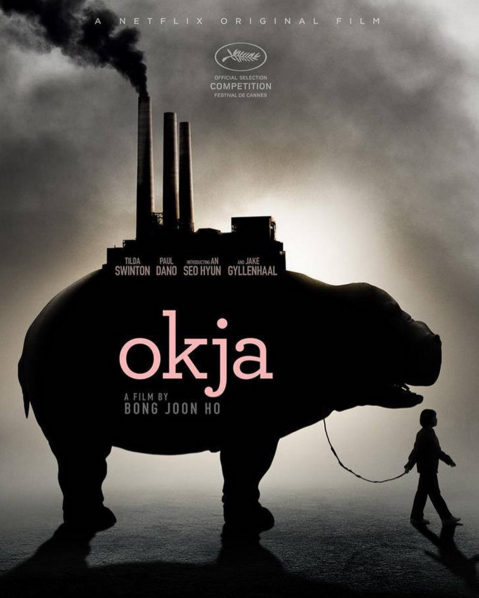 It was tears we experienced when we watching OKJA, laughter when we saw Carnage and shock and sadness when we saw the documentary What The Health. 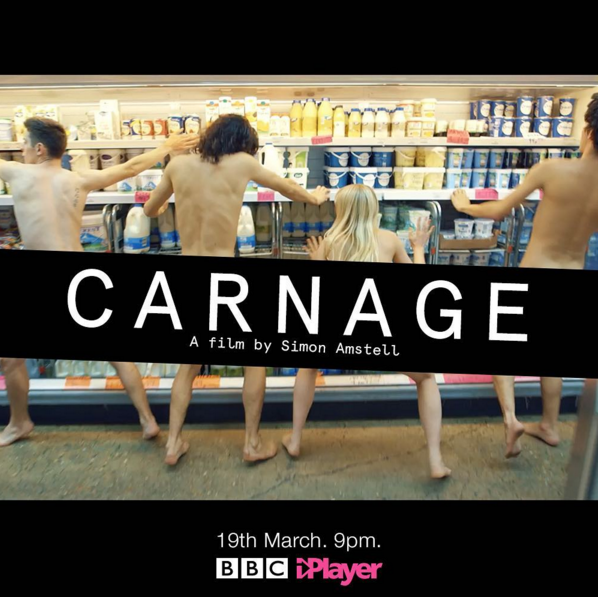 It has been incredibly interesting to see the likes of Netflix and The BBC invest in films with distinctly pro-vegan messaging. At Vevolution we see this as a sign that the mainstream consensus is that veganism is an emerging key issue of our time worthy of serious reflection and discussion. A sign of this was the Guardian newspaper recently coming out with a pro-vegan editorial stance, calling the movement: "high in moral fibre". The success of these movies undoubtedly will see production companies continue to fund projects with vegan messages especially when it comes to productions with subtle subversive messaging like those found in OKJA and Carnage. 2017 has been the year of the march in the vegan world. 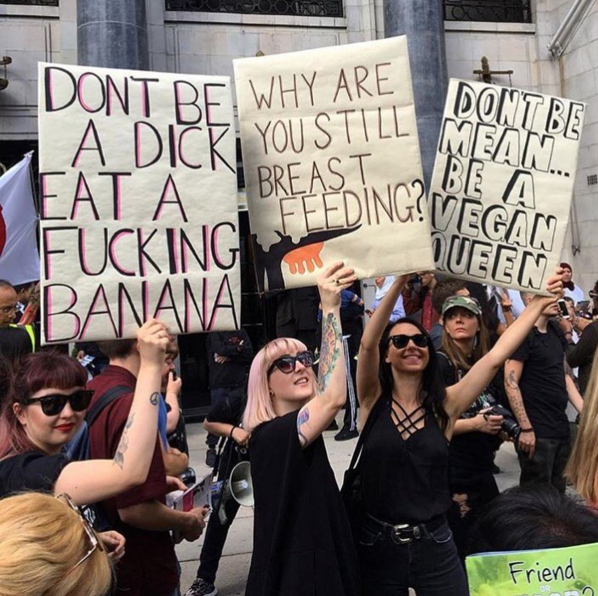 London held The Official Animal Rights march followed by an even bigger pro vegan march in Israel which saw 10,000 people take to the streets. 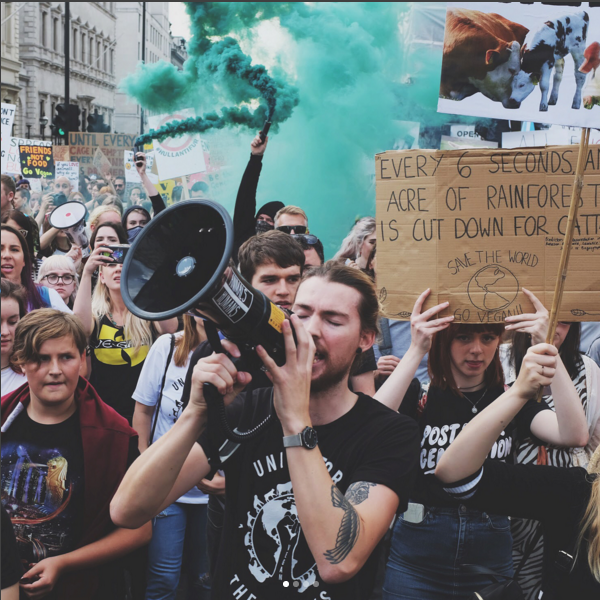 Undoubtedly these marches will continue to grow in size as veganism becomes an increasingly popular in mainstream society. The world of investment has well and truly been cracked by vegan businesses in the UK. Plant-Based News, allplants, SpiceBox have announced they have raised rounds of funding. 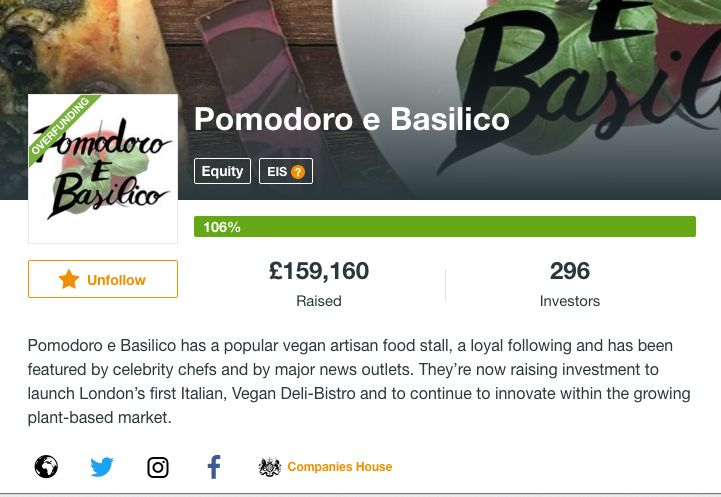 Whilst the likes of Vurger.co and Pomdoro E Basilico have raised huge rounds of funding on equity based crowdfunding platform Crowdcube. It has been exciting to see so many businesses raising rounds of funding. Crowdfunding platforms are enabling both ethical investors and people passionate about veganism to unite in order to give the world more vegan choices. We think this is certainly a good thing and something that looks set to continue in 2018. 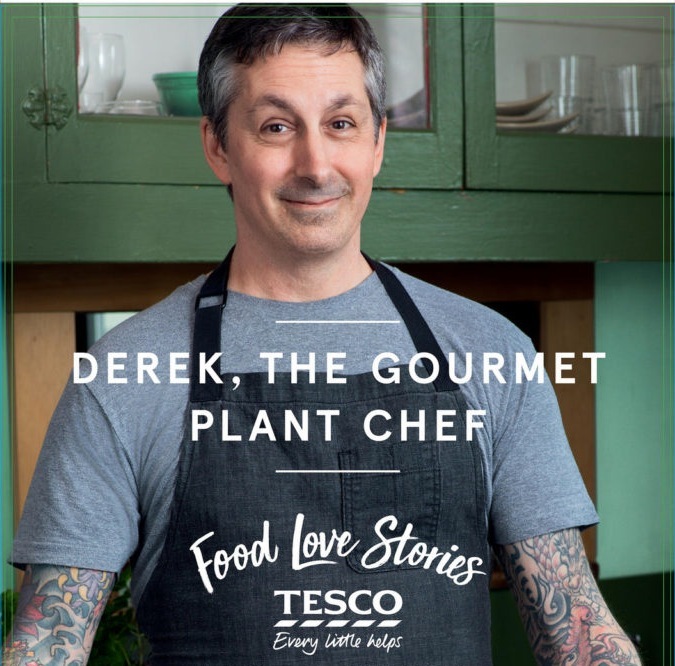 It's also been exciting to see Tesco hire the incredibly talented chef Derek Sarno, as their Head Of Plant-Based Food Innovation. The future is definitely bright for those businesses wanting to meeting the growing demand for vegan food products. As event organisers it has been amazing to witness the growth in people coming together to celebrate vegan food and thinkers. VegFest held another record breaking event in London and secured a huge new venue for Bristol VegFest. Vegan Life launched a incredibly successful event packing Alexandra Palace in London in the very first week of January. And the Vegan Campout saw thousands of people come together for a weekend of talks and food. Our very own Vevolution events have continued to prove popular and to date have held 7 sold out events with next month's Vevolution festival selling out over a month in advance of the event. New events for next year that already have us excited are FITVELOVE and Our Vegan Weekend. We've got some exciting new plans we will be sharing with you regarding out 2018 events in the not too distant future. Of course we could talk about the plethora of celebrities who went vegan in 2017 but honestly that will happen every year from now on until the end of humanity. Because veganism is an unstoppable force, people are choosing to eat plants because it feels good not to eat animals. It's nice to do a bit to protect our beautiful planet for future generations and we want to live happier and more fulfilled lives and ditching animal products helps all of us all to do that. It's an exciting time to be at the heart of a movement for positive change but challenges lay ahead. The world is a murky place and it will be easy for the vegan movement get dragged down into the gutter. We need to all make the effort to ensure sure our intentions and actions remain above reproach. Thank you to everyone who made it this far down the article. If you are vegan enjoy World Vegan Day and if you're not thanks for reading this article and perhaps give that veggie burger you've been meaning to try out a go. Learn more about the award winning plant-based community cookery school Made In Hackney who are aiming to raise £85,000 with a new crowdfunding campaign. Exciting Announcement! The Happy Pear Are Coming To Vevolution!